Last Thursday, fifteen Mary Pappert School of Music voice students competed for a chance to win one of three monetary awards at the Marguerite DePhillips Dougherty Voice Competition. The students, ranging from freshman through Artist Diploma, each performed one song of their choice for the evening's judge, opera star Raymond Very. The winners included Brent Kimball, tenor ($400 Graduate Award), Isabel Tarcson, soprano ($400 Undergraduate Award), and Devin Barry, countertenor ($200 Encouragement Award). Marguerite DePhillips Dougherty was born in Pittsburgh in 1929. Her interest in music, particularly opera, began as a young woman while taking voice lessons inspired by a love of Puccini's La Bohème and Madama Butterfly. A subsequent grand tour of Europe and time spent living in North Africa cemented her commitment to all things beautiful and artistic. 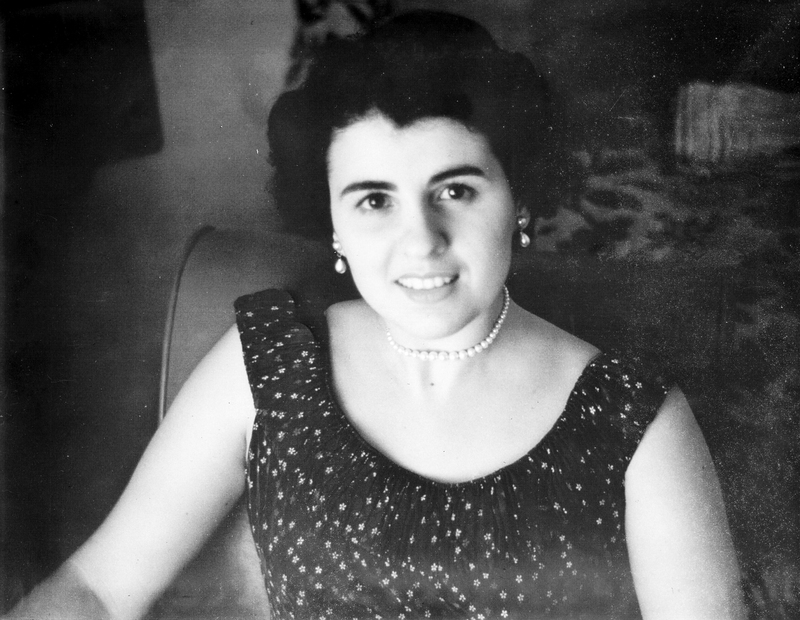 As an unsung patron of the arts, she quietly supported causes throughout her life, and at her death in 2015, she bequeathed a gift to Duquesne University's Mary Pappert School of Music to support programs that benefit students pursuing careers in music, especially opera. Very, who is recognized for his roles with the Metropolitan Opera, San Francisco Opera, Houston Opera, and many others not only selected the three award winners, but spent time with each individual student, offering insight into their performance as well as suggestions for improvement. 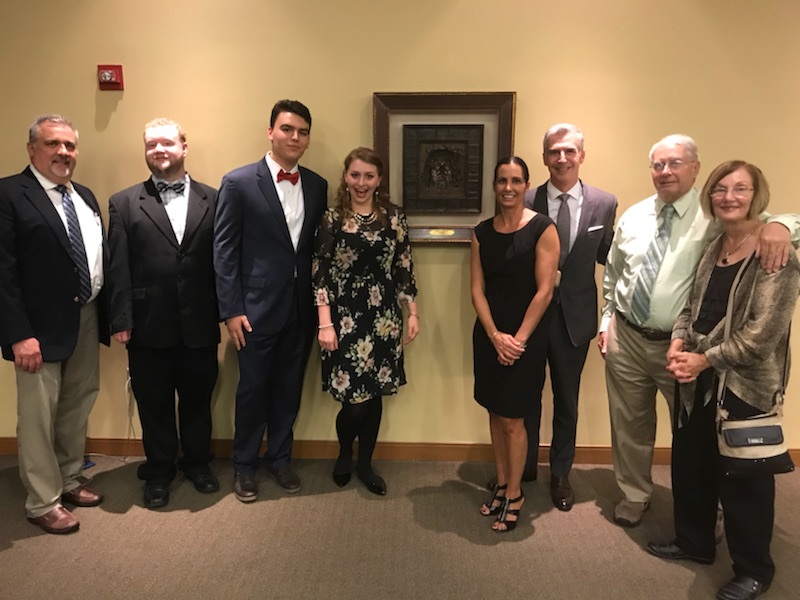 In addition to the competition, the night's activities also featured the unveiling of an impressive piece of art by sculptor Felix de Weldon. 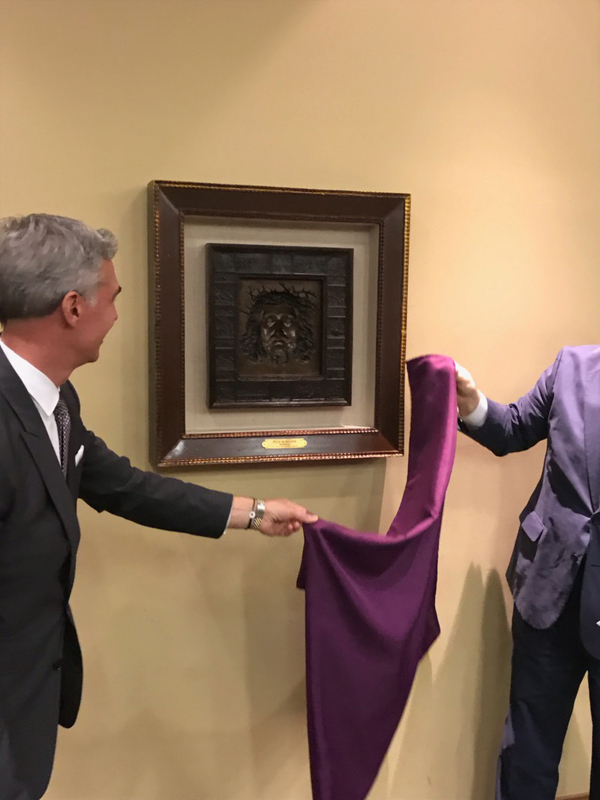 Also part of the gift from Dougherty, the work is a bronze relief depicting the face of Jesus Christ and has been permanently installed in the PNC Recital Hall Lobby.